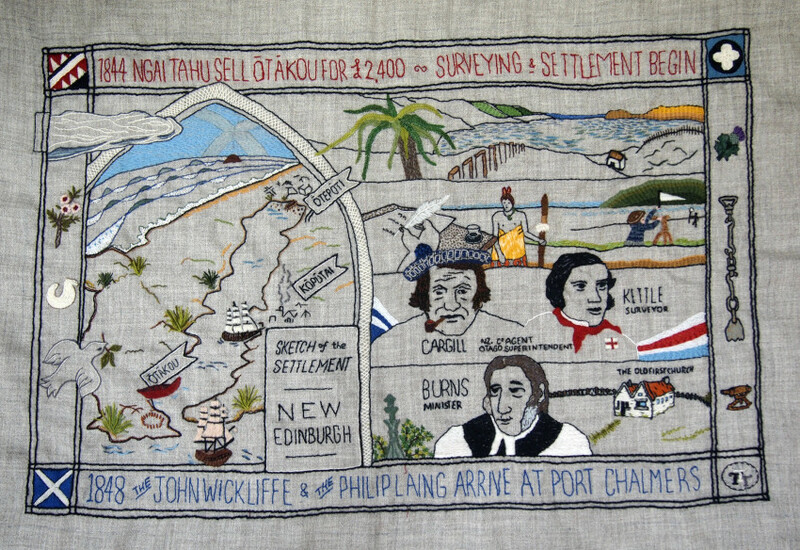 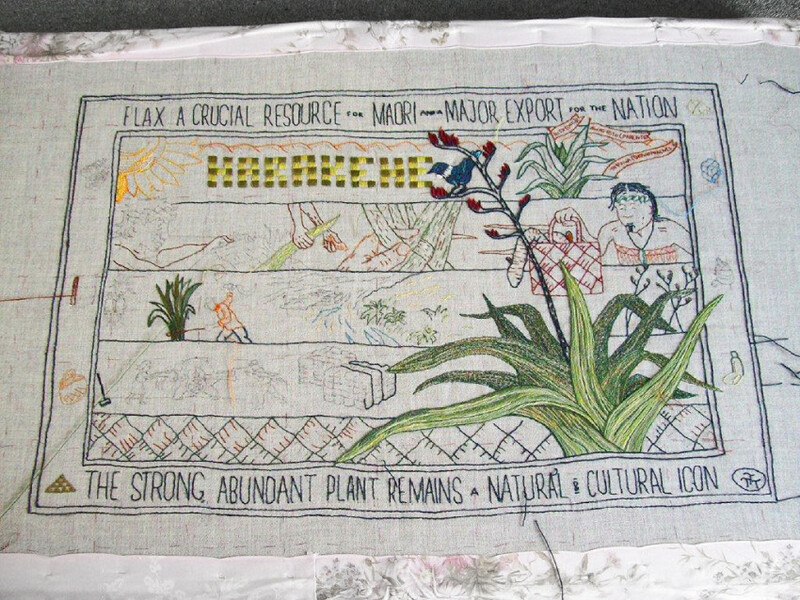 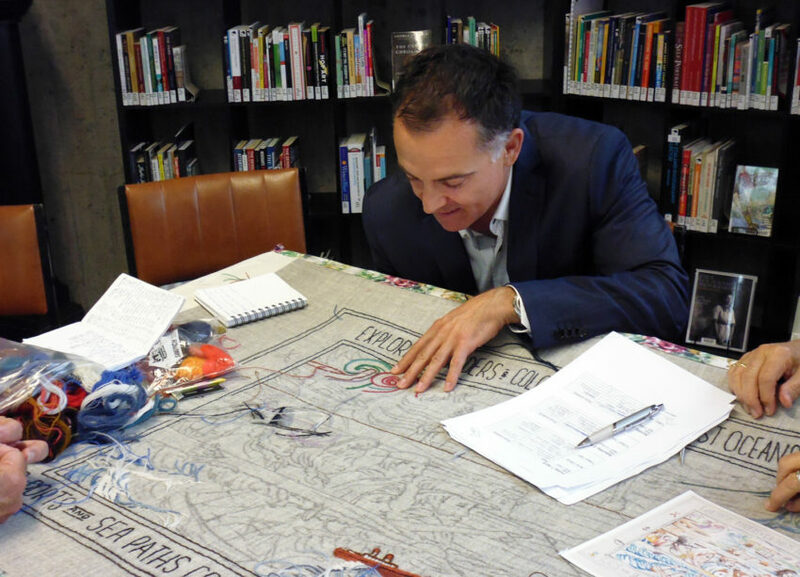 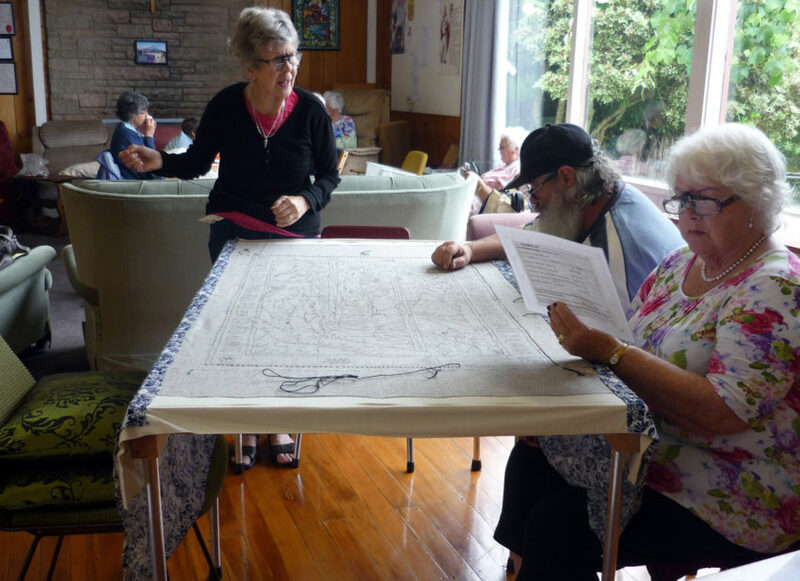 The Tapestry Trust of New Zealand is in the process of creating a large series of panels depicting the history of Aotearoa New Zealand. 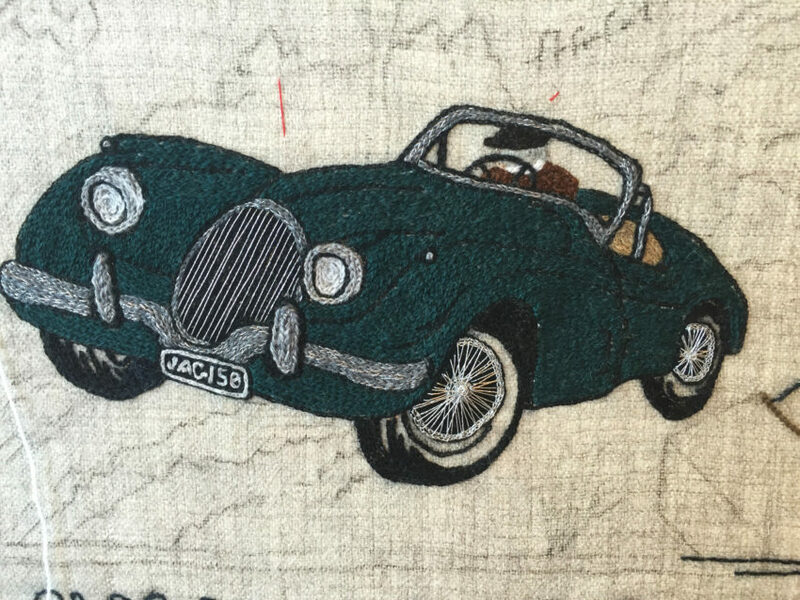 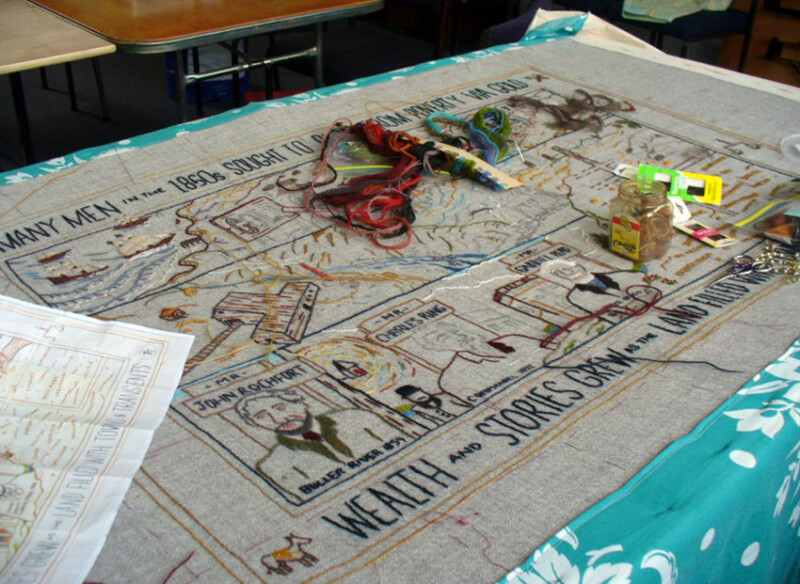 We are supported by the Association of Embroiderers’ Guilds (ANZEG), many of whom are giving their time to this long-term project. 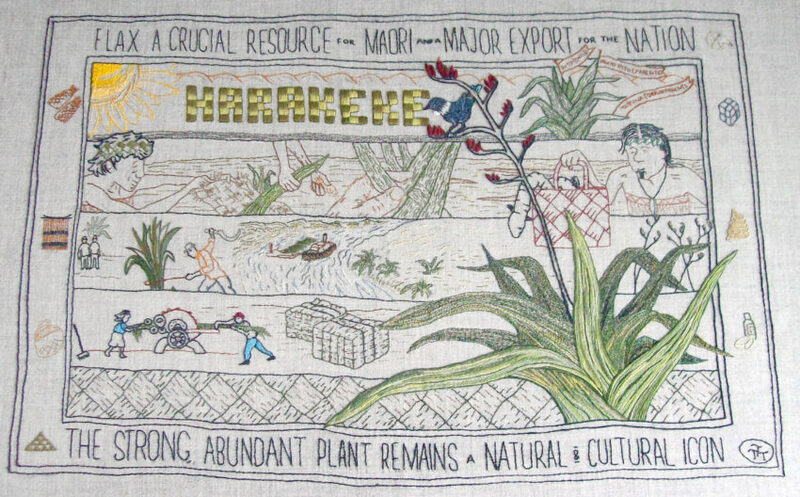 This is a project about, by and for the people of NZ. 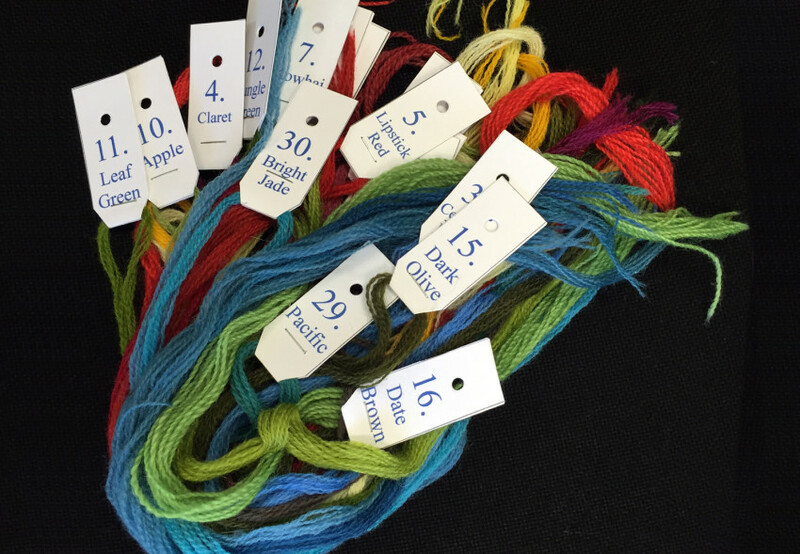 A good way to organise the threads. 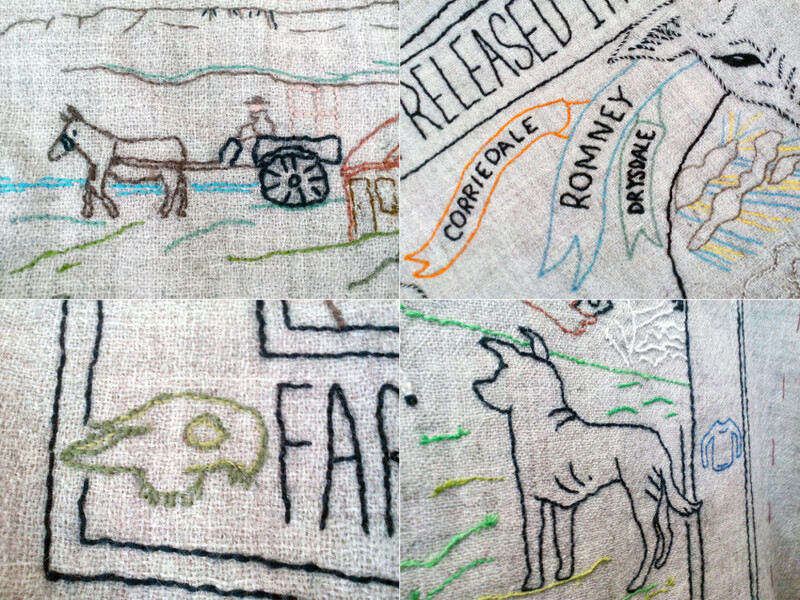 Thanks to the guild who sent these back! 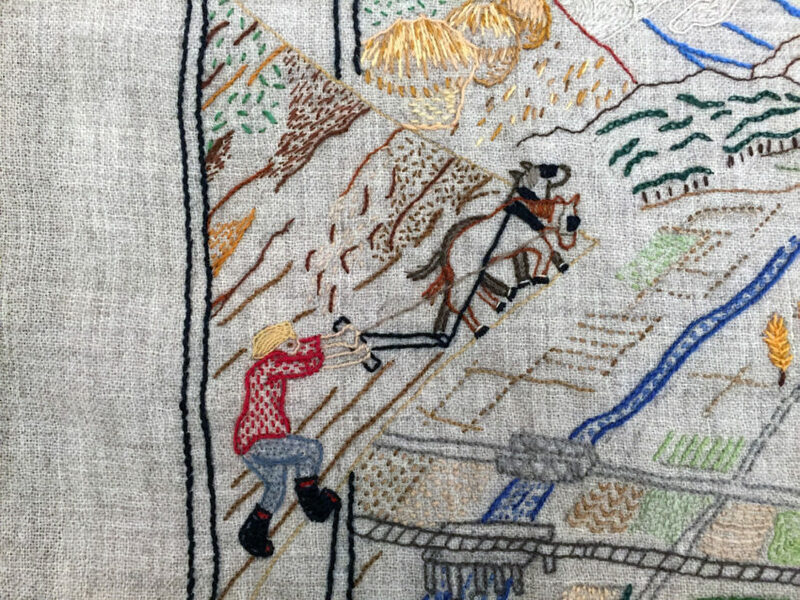 Sorry we lost track of who it was. 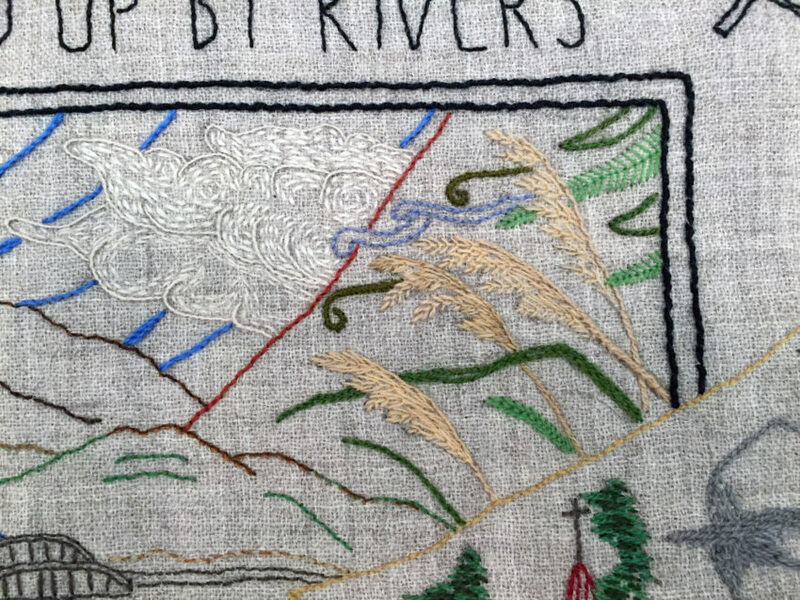 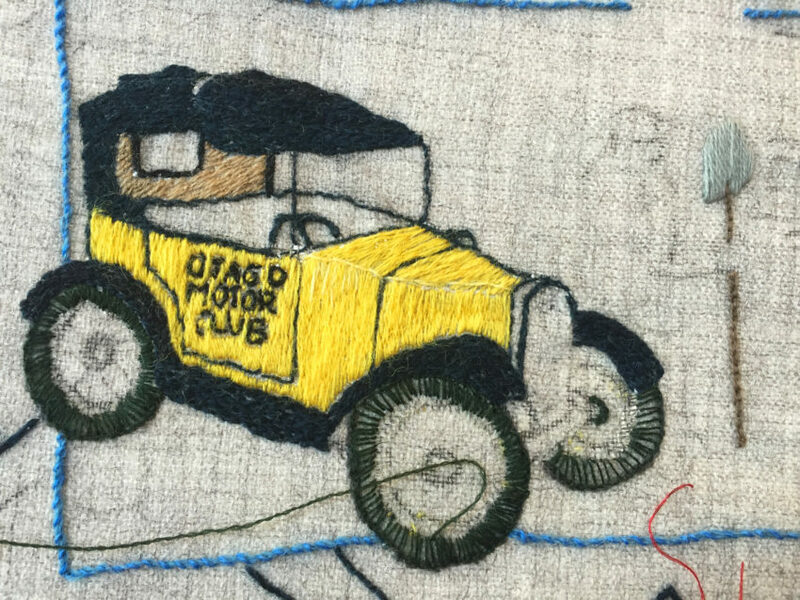 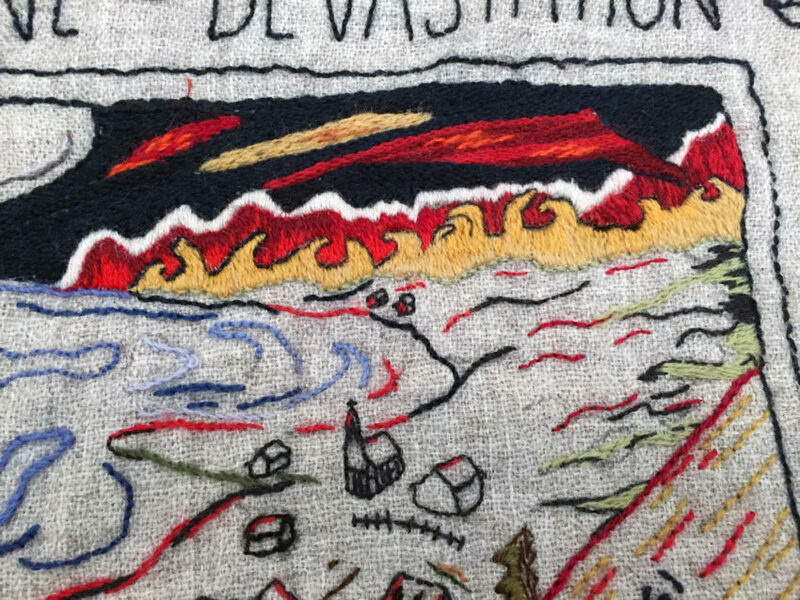 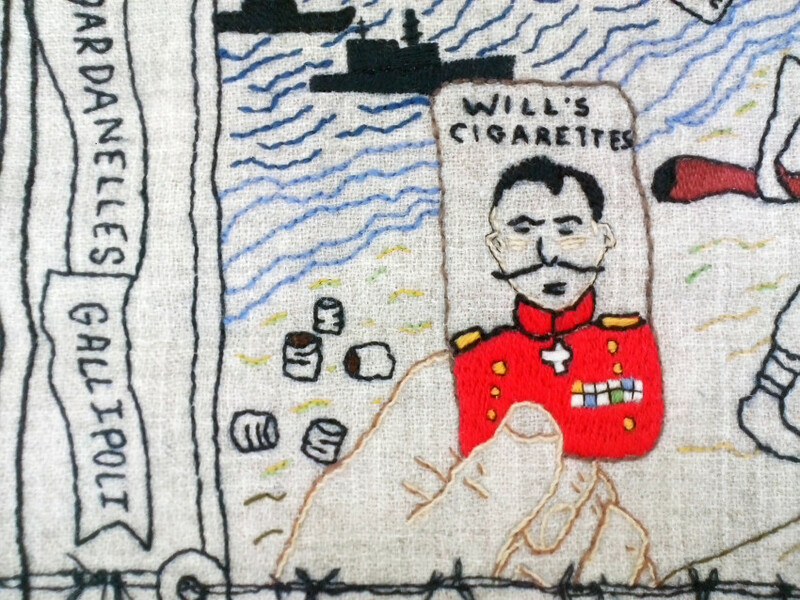 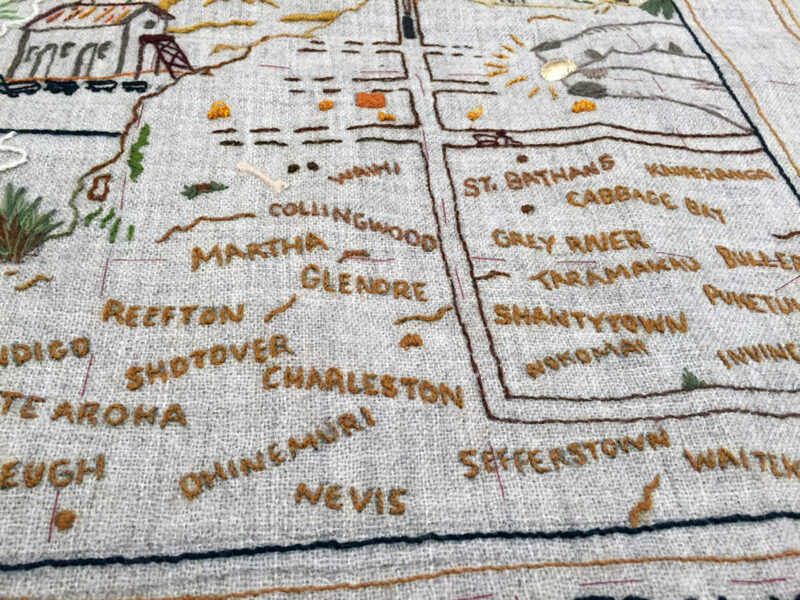 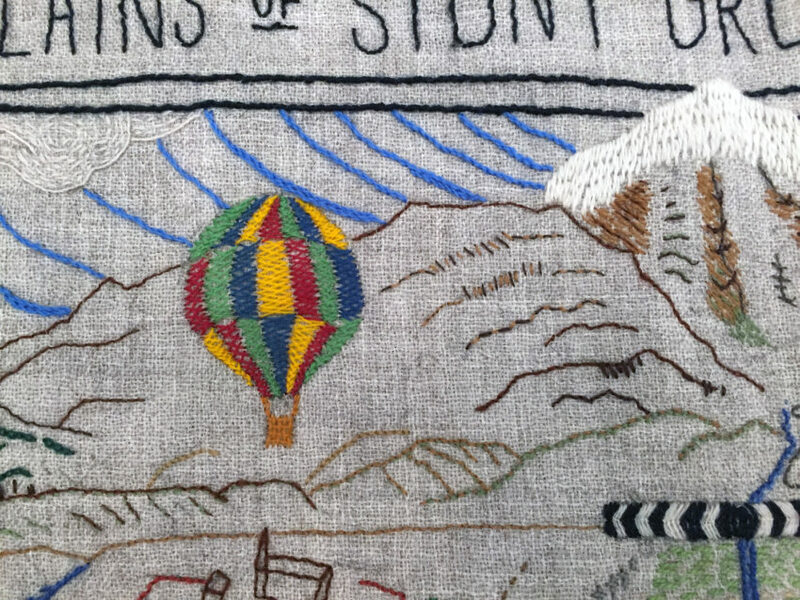 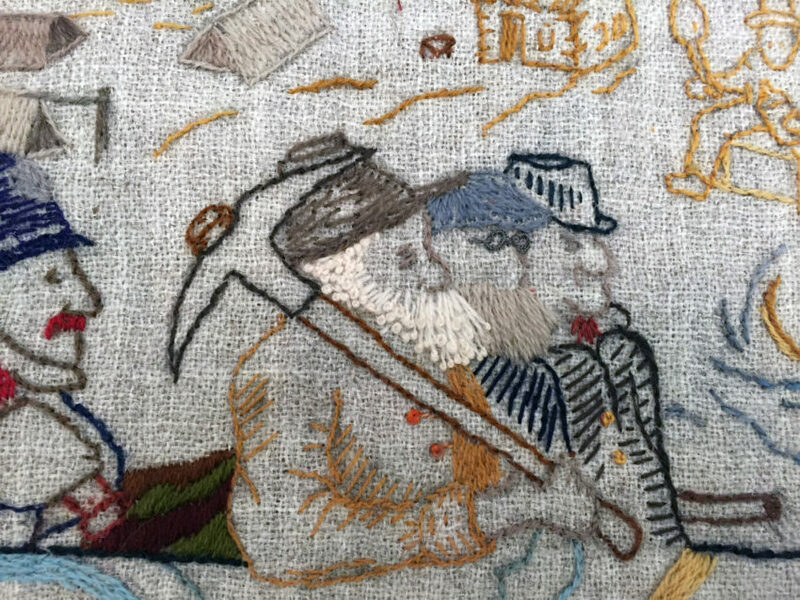 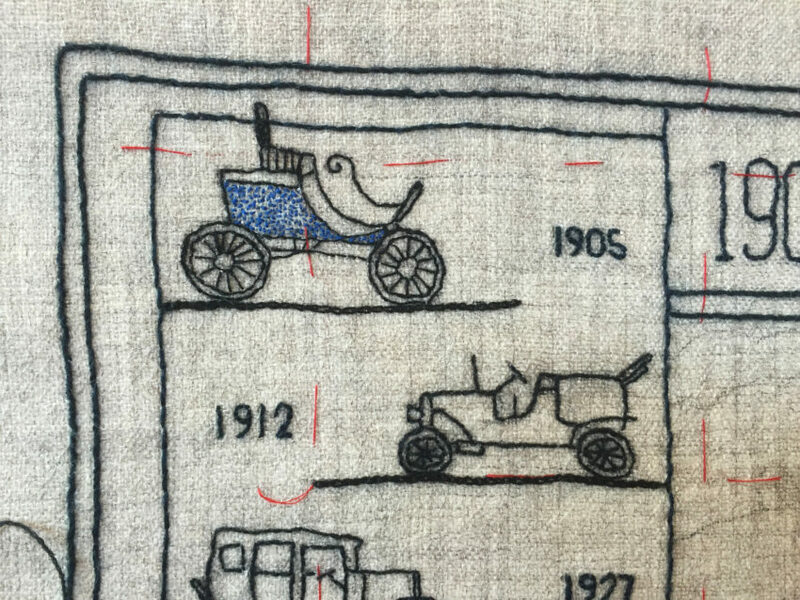 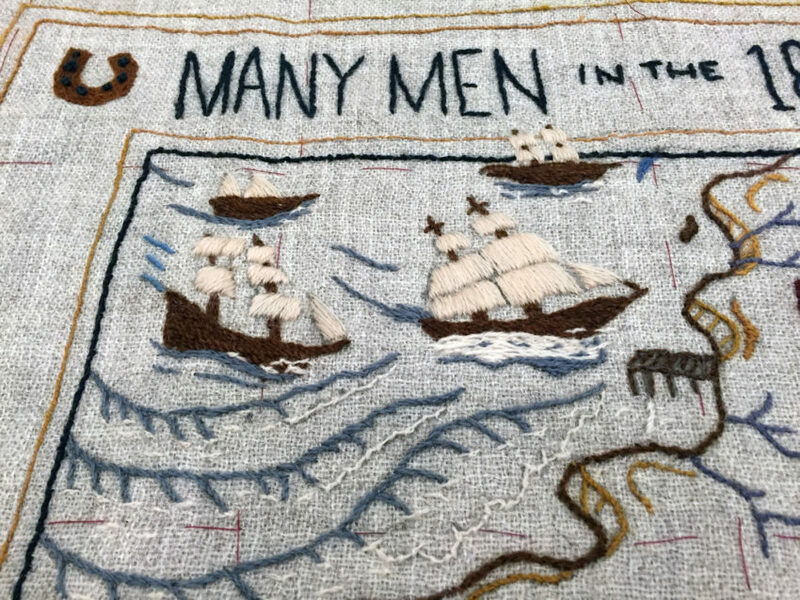 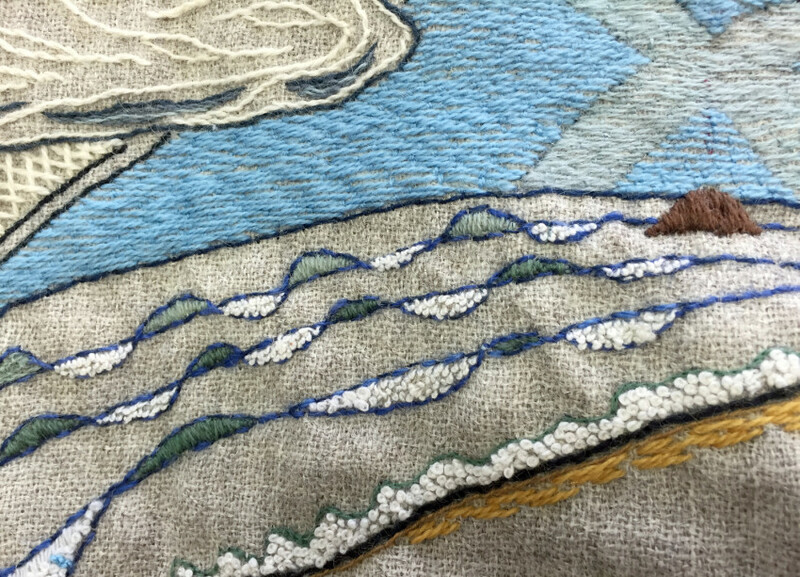 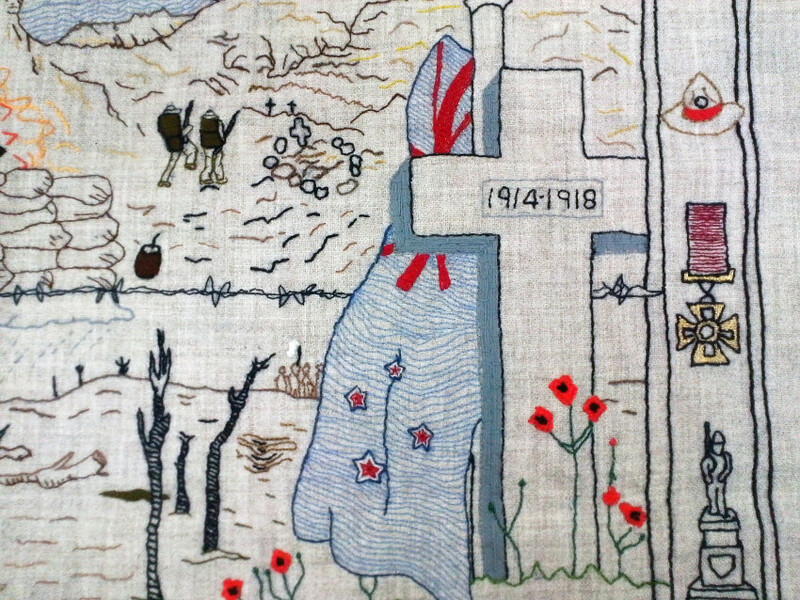 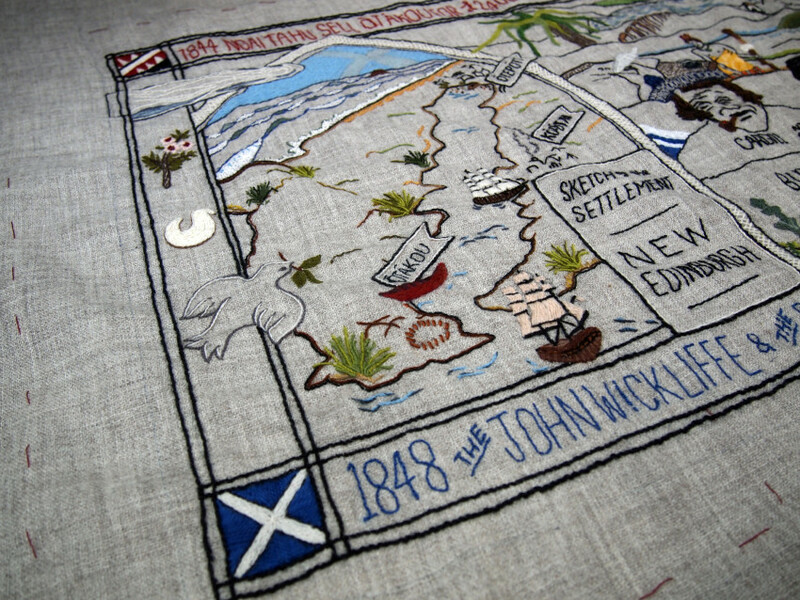 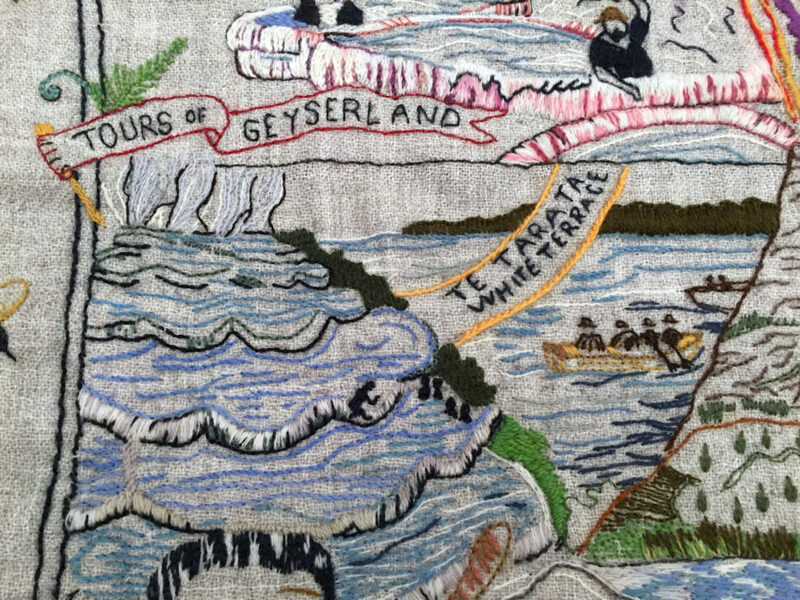 Details of WWI and ANZACs panel stitched by Whakatane Guild. 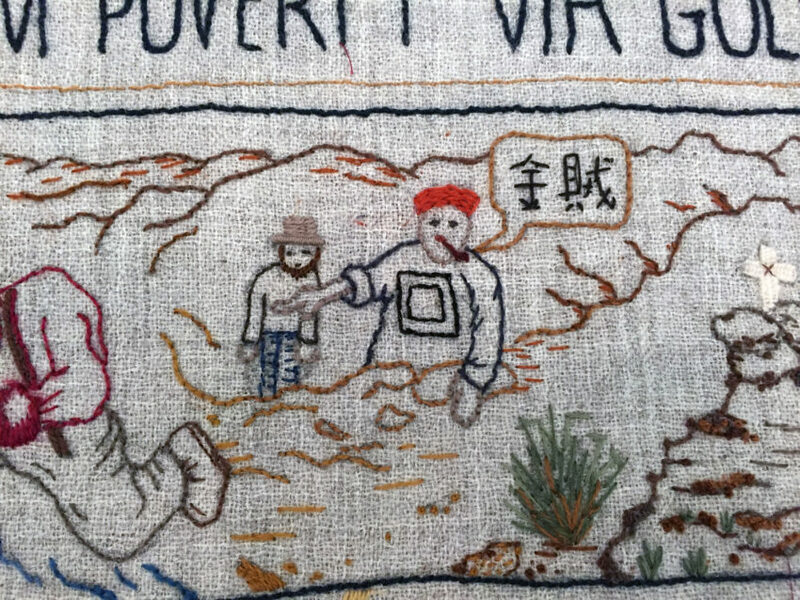 Photographed June 2015. 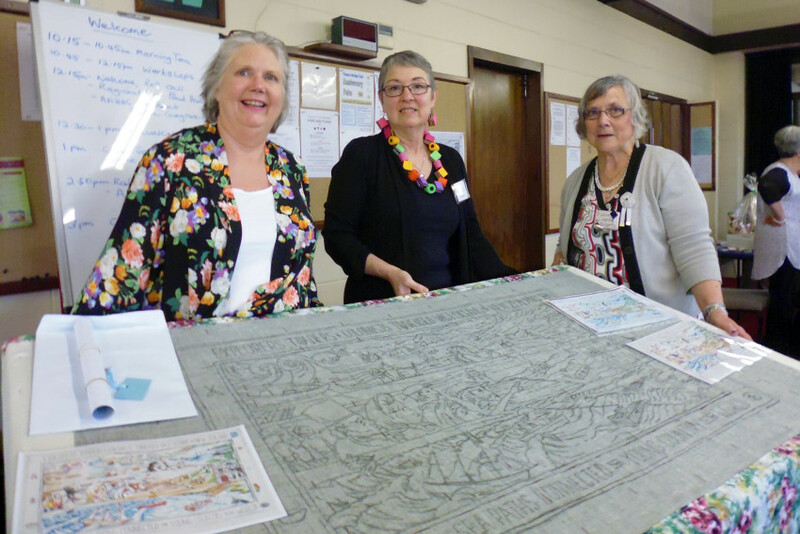 Pauline Cosgrove-Haggerty, ANZEG President (right) presents Aoraki’s Tapestry Trust panel to Judy Marshall, Aoraki Embroiderers’ Guild President (centre) while Paula Hucklesby, ANZEG Canterbury Regional Rep (left) looks on. 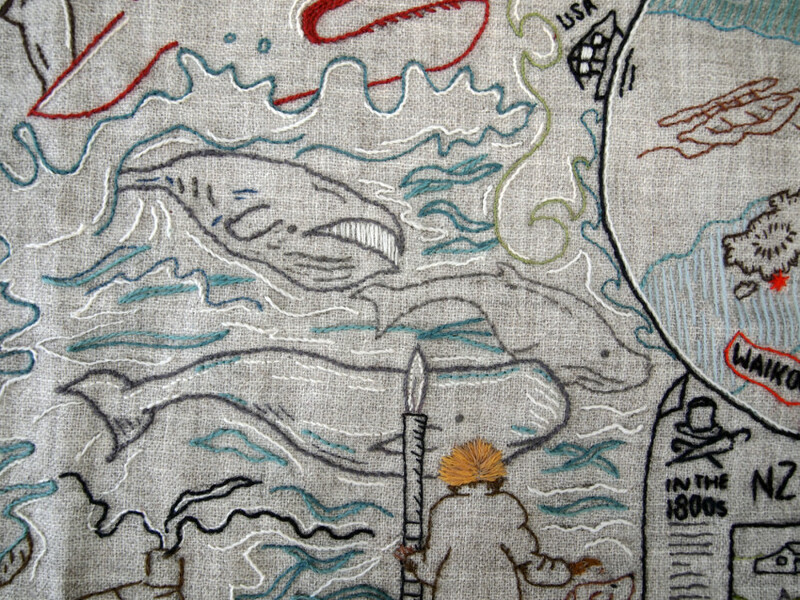 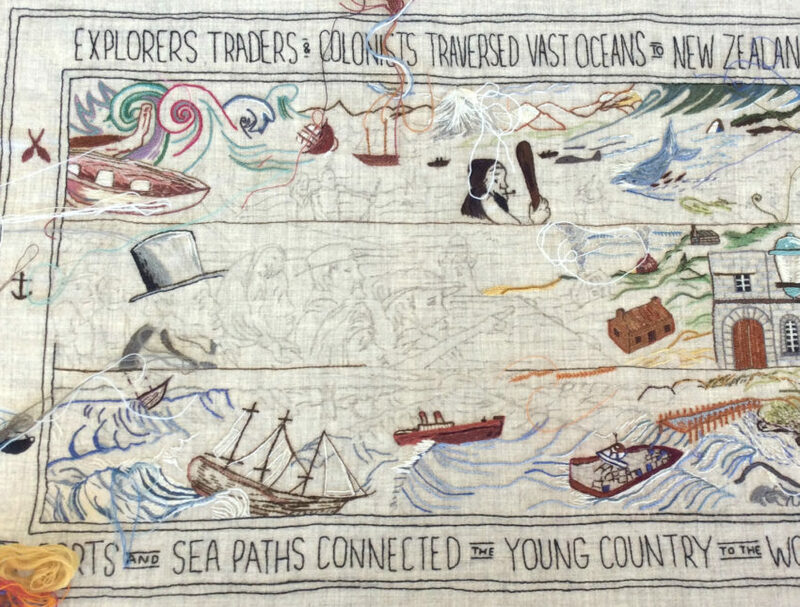 Stitching completed on the panel ‘Early whaling and sealing’ by the Marlborough Guild, Feb 2015. 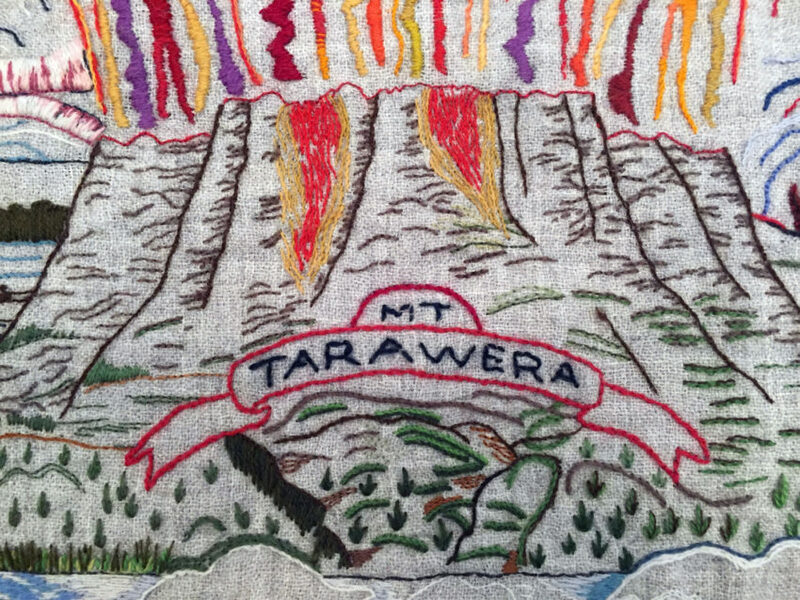 Are you able to support the New Zealand in Stitch project? 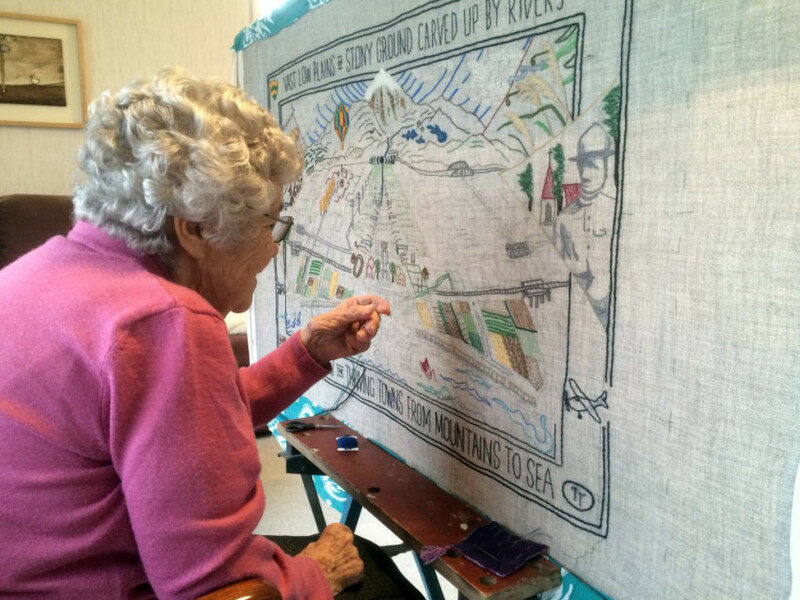 Use the Givealittle link below to donate via credit card or internet banking. 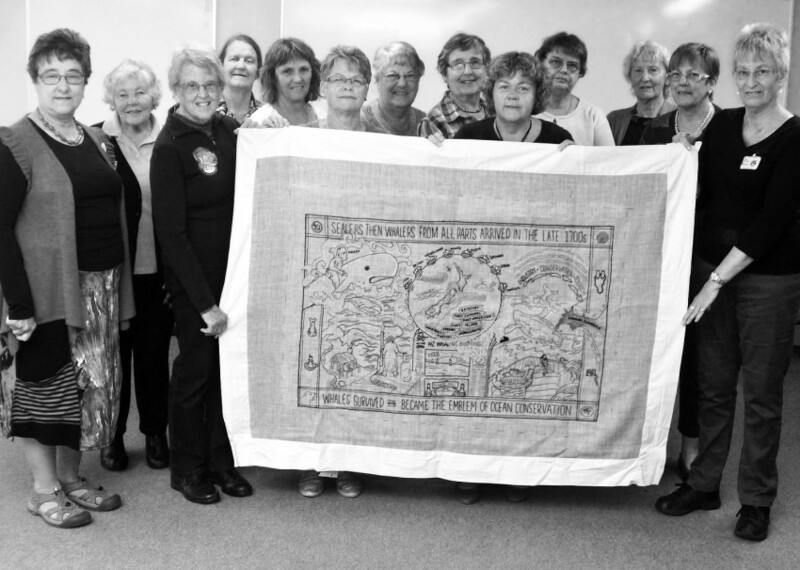 For enquiries about a Guild, panel, or for general information, please contact Jeanette Trotman (Secretary).